Where are we going in the SSATC? Some of us feel left out, some of us feel unsupported. So where is the NATA's SSATC leading us? When are THEY going to start looking out fur the SSATs? Those are great questions for Bart and Jason. Jason Cates and Bart Peterson provide leadership to the Secondary School Athletic Trainers Committee. They join us hot off the SSAT learning lab to share their insight and where are headed. These are great ATs who are true advocates for the secondary setting. How can you get one of these shirts? Find me at one of the future NATA events and I will have them there. I have randomly sent some out to people who are very active on social media promoting the Sports Medicine Broadcast. Or join the email list and you will know where I will be giving them out. Where did this conversation take place? Where can I get a product that helps me hydrate better than Gatorade? 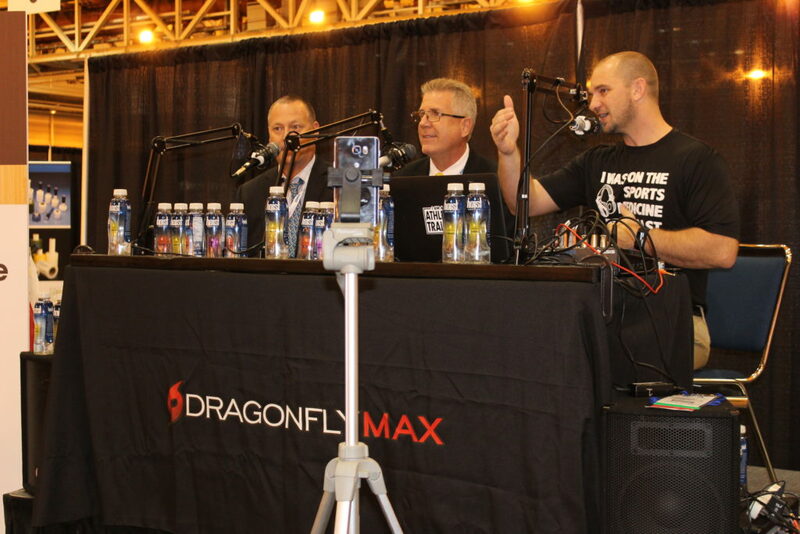 This entry was posted in Orlistat non prescription, Podcast Lounge and tagged #NATAExpo, Bart Perterson, Jason Cates, Otc viagra, nata 2018, NATA2018, New Orleans, Podcast Lounge, Secondary Schools, SSAT on February 1, 2019 by Host of The SMB.